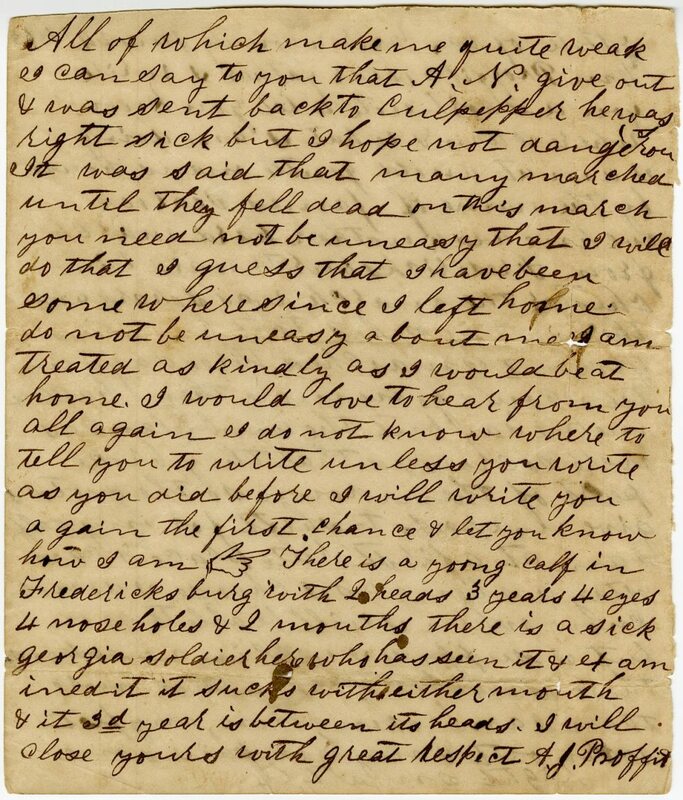 Item description: Letter, dated 24 June 1863, from Andrew J. Proffit to his father, William Proffit. He discusses troop movements in Virginia and his own health, and mentions the story of a two-headed calf born in Fredericksburg. 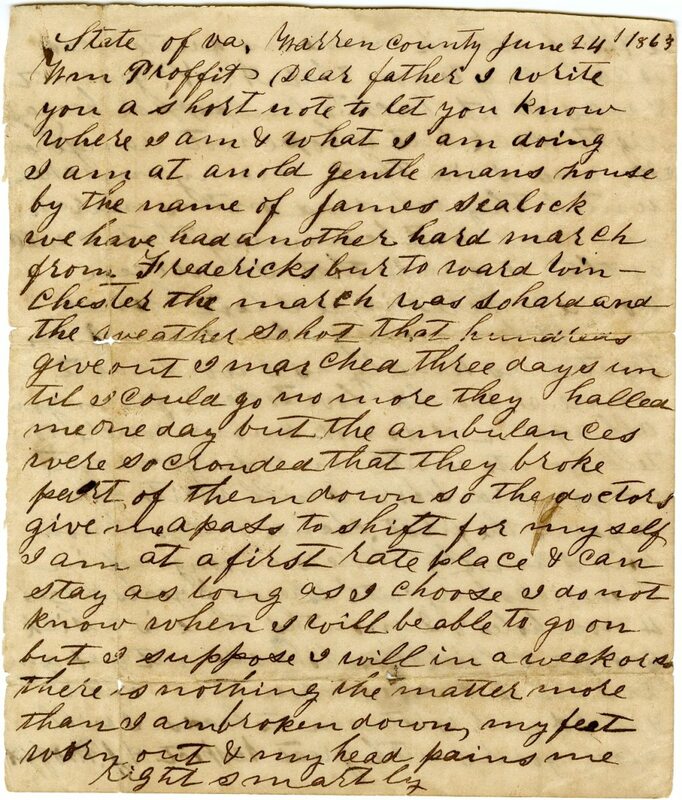 Item citation: From folder 3 of the Proffit Family Letters, Southern Historical Collection, Wilson Library, University of North Carolina at Chapel Hill. This entry was posted in Southern Historical Collection and tagged Andrew J. Proffit, Culpeper (V.A. ), exhaustion, Fredericksburg (V.A. ), health, livestock, marching, troop mobilization, Warren County (V.A.). Bookmark the permalink.